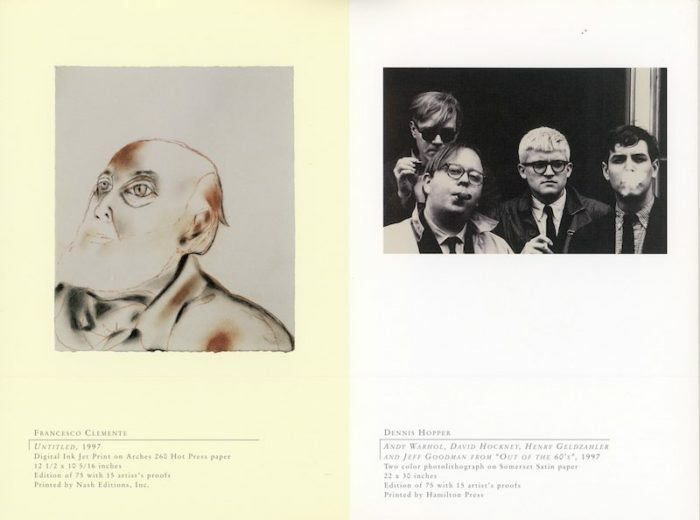 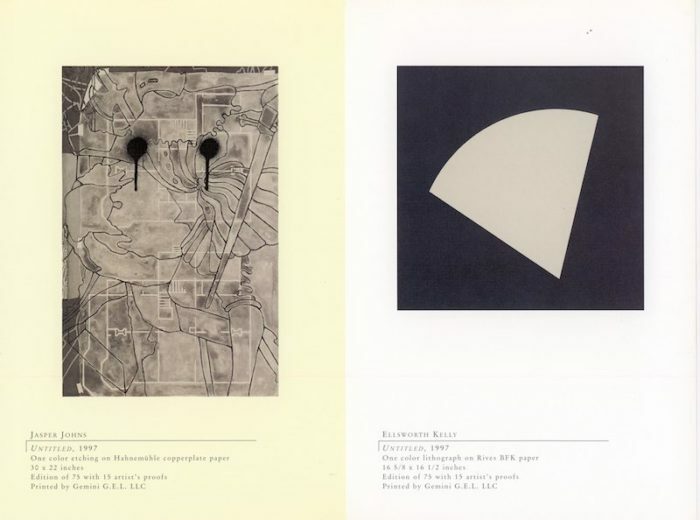 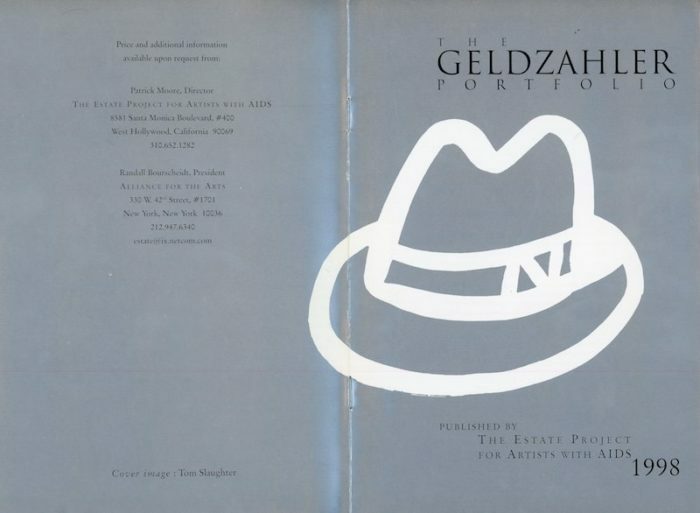 The Geldzahler Portfolio, published by The Estate Project for Artists with AIDS. 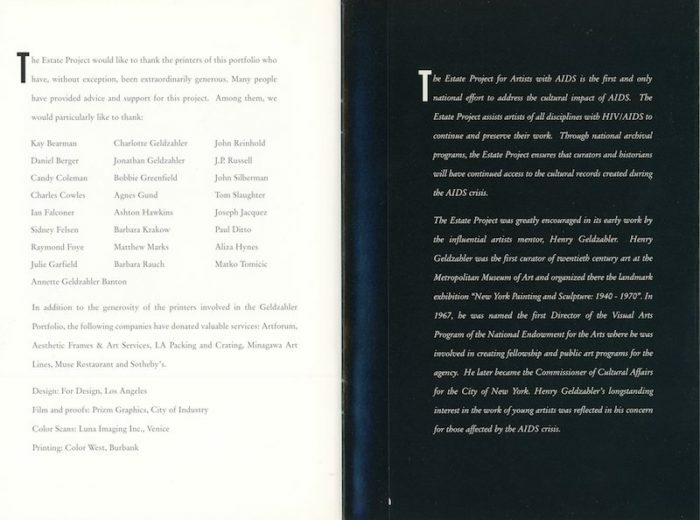 An accordion-fold-out booklet featuring nine prints and an essay by Calvin Tomkins. 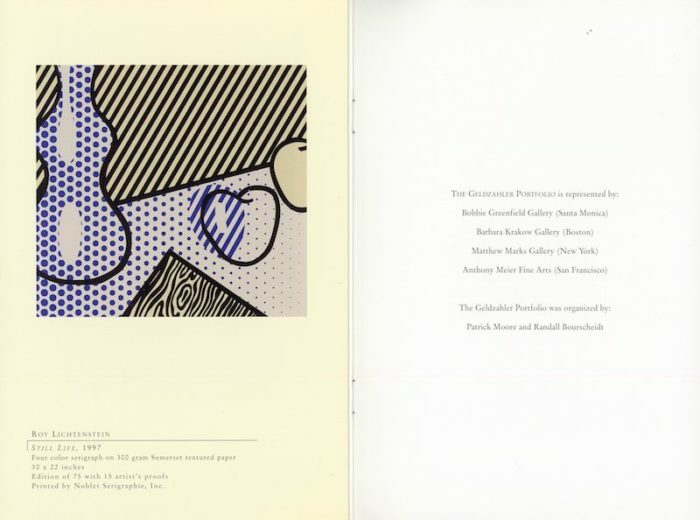 Participating artists include Louise Bourgeois, Francesco Clemente, David Hockney, Dennis Hopper, Jasper Johns, Ellsworth Kelly, Roy Lichtenstein, James Rosenquist, David Salle, and Frank Stella. 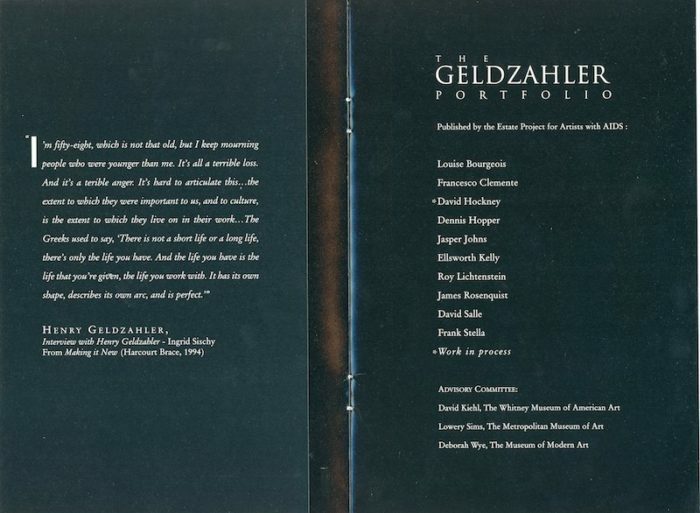 Cover designed by Tom Slaughter.